I just realized I still have photos to show you before we leave for our cruise the day after tomorrow! I’ve uploaded an entirely new album of photos from James’s recent visit to LA, available here. This reciprocal-hospitality thing is awesome… I move that all future visits to friends should now be followed up by reverse visits (but only once, so as not to create an endless cycle of airport-going). Of course the only reason we could stand it was that there were four of us involved to split the cost and energy. I think if we were just talking about two people visiting back and forth it would be too tiring. 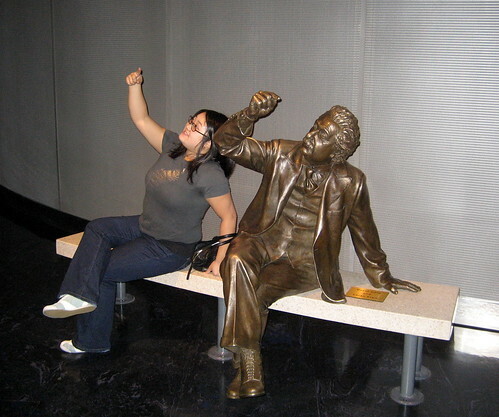 Jackie and Einstein at Griffith Observatory. 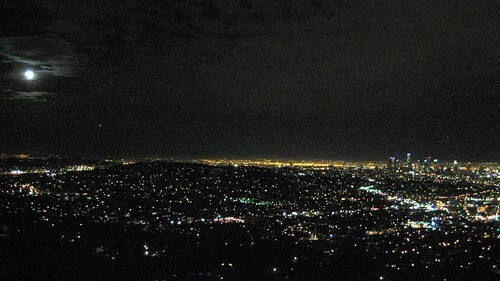 View of the city and downtown from the observatory terrace, as taken by James. 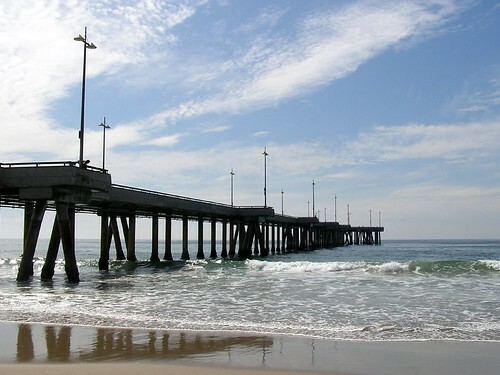 Venice beach on the morning of Jackie’s birthday! Also, I’ve added some of James’s and Jackie’s photos to my Chicago flickr album, so check those out! 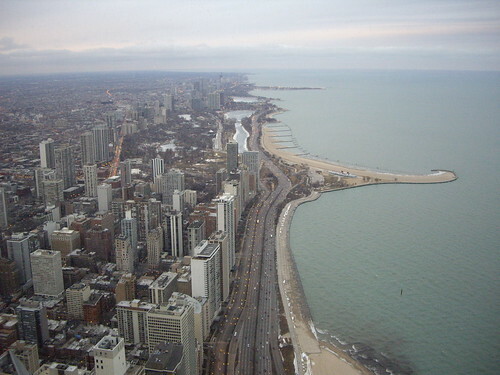 View from the 95th floor of the Hancock Center. Jackie and me ready to eat yummy lunch. 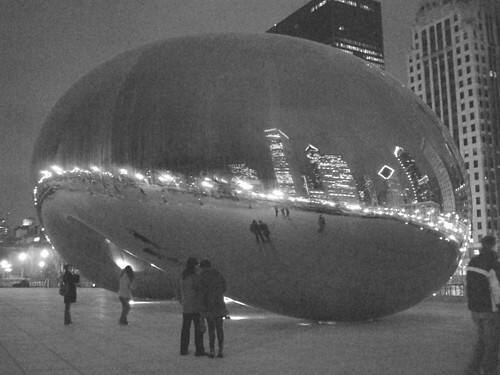 Cloud Gate (aka The Bean) by night. 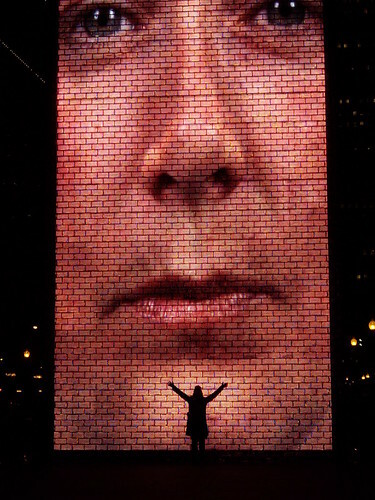 Me embracing the Crown fountain. At least Devin’s here for the weekend! 😀 Have a good cruise. Be safe, try to get somewhat of a tan, and take lots of pictures! I like that bean. what great pics. I hope you have a fab time on the cruise. watch out for scurvy! Is that at the Griffith’s Observatory? How does one arrange a trip up there…looks so romantic! It is very lovely, and we really enjoyed the planetarium show. Their website is here — you have to make a reservation and take a shuttle (I think public transit is also okay).